Hasta mudras mean hand gestures adopted during asana, pranayama and meditation that directs flow of energy into our body. 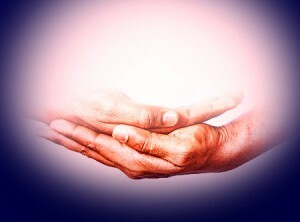 According to the Tantras these mudra yoga techniques stimulate different areas of the brain. “(Sanskrit: , lit. “seal”) is a symbolic or ritual gesture in Hinduism and Buddhism. 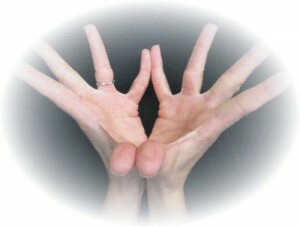 While some mudra involve the entire body, most are performed with the hands and fingers. Mudra (Sanskrit) is “spiritual gesture” and energetic “seal of authenticity” employed in the iconography and spiritual practice of Indian religions and Taoism. (Wikipedia). According to the yogic science, the human body comprises of five basic elements – the Pancha Tattvas. 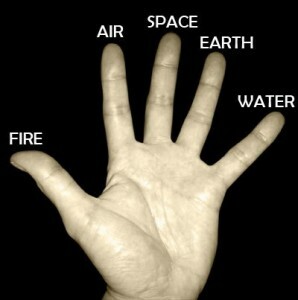 The five fingers of the hand are connected to these vital elements in the body. 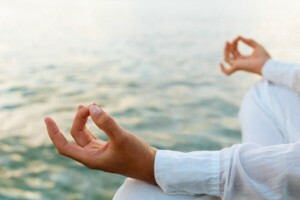 At Intuitive Flow we learn the mudras during the teacher trainings and retreats, as part of the Yoga Pranala teachings. 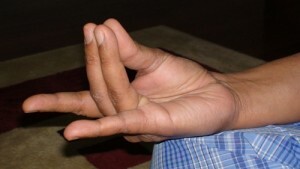 This is a very commonly used mudra in meditations. Touch the tip of your index finger with the tip of your thumb. The other three fingers, you may keep them straight or free. It doesn’t matter even if they are slightly bent. Fold the index fingers inside root of the thumbs. Straighten fingers of each hand so that they are relaxed and slightly apart. Reduces the distractions arising in the mind. 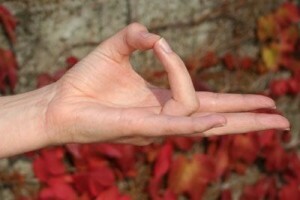 PS: Chin mudra as taught by BSY: Same as Jnana except that the palms are facing upwards. 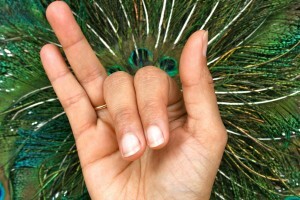 This is one of the hand gestures used to alternate the breath through the nostrils during Nadi Shodana. Index and middle finger rest on the palm. The thumb and fingers rest lightly just above the nostrils so very little movement is needed to close each side during practice. Bhairava: the right hand on top, we are invoking the Shiva. Bhairavi: left is on top it is, we are invoking the energy of Shakti. 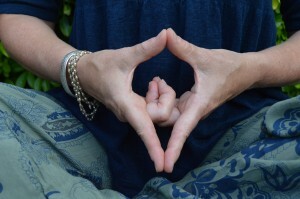 Anjali Mudra is, in effect, positioning the hands in the attitude of prayer but instead of pressing the hands together completely, the fingers need to form a shape a little more like a bud. Leaving this small space is a symbol of opening our heart to greater understanding. Connects the right and left hemispheres of the brain. Connects the practitioner with spirituality. Promotes respect for oneself and others. The tip of the middle finger touches to the top of thumb. Remaining fingers are to be kept straight but at ease. Detoxifies the body by the elimination of metabolic wastes. Purifies and emotions and thoughts. Increases intuition power and alertness. The tip of the ring finger touches the thumb. Remaining fingers are to be kept straight but at ease. Balances the different elements inside of the body. Strengthens the body and alleviates fatigue. Fosters self-confidence and belief in the self. Helps those who are seeking spirituality. Good for people with dry skin. Very helpful for gastroenteritis, diarrhea and dehydration. Place the thumb, middle finger, and ring finger together and the other fingers extended. Strengthens and cleans parts of the body. Join the middle and ring fingers to the thumb. Put the index at the base of the thumb. Strengthens and improving the vitality of the physical heart. Releases tensions and burdens from the heart energy center. Interlace all fingers in front of the chest. Extend the middle fingers and wrap the index fingers around behind them. Place the thumbs together at the base of the middle fingers. 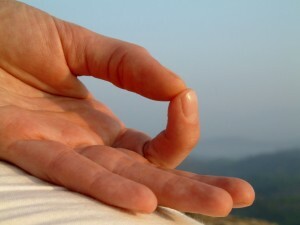 Begin in Anjali mudra. Keep the tips of the little fingers and thumbs together, as well as the base of the palms. The ring, middle and index fingers are wide apart to form the shape of the lotus opening its petals. Sense the light energy rising upward from within the lotus. Calms the body and mind. Helps with digestive function and hemorrhoids. Claps fingers inside palms. Press index fingers together. Press thumbs together. silence arises and all sensory organs sensitized. Interlace all the fingers and the thumbs together in front of the chest. Extend the index fingers and press the pads gently against each other pointing upward.